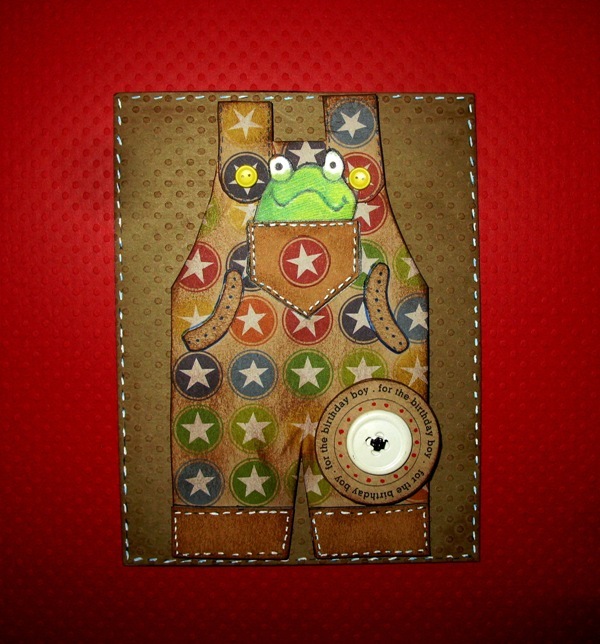 Birthday Card for a boy - features handmade three dimensional overalls in a star pattern. The pocket has a frog popping out. This card measures 5.5" High by 4.25" wide. It is blank inside and comes with a matching envelope.